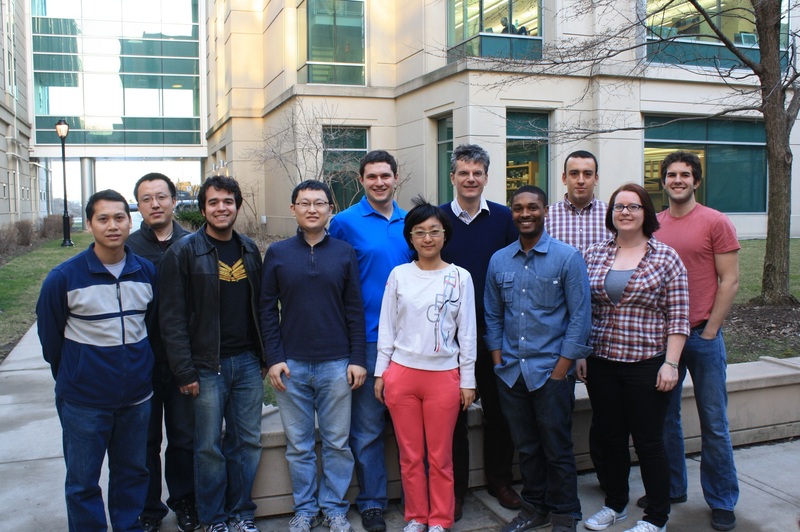 The Structural Metallic Materials Group at Northwestern University, supervised by Prof. David C. Dunand, focuses on the mechanical metallurgy of advanced metallic alloys, composites and foams. Concurrent research also addresses advanced processing techniques (e.g., to fabricate novel composites and foams) and microstructure characterization (e.g., to link the observed microstructure to the measured mechanical properties). The Group is primarily comprised of graduate students in the Materials Science and Engineering Department, Robert R. McCormick School of Engineering and Applied Science, at Northwestern University in Evanston, IL. Other collaborators include several Northwestern undergraduates as well as summer undergraduates from other institutions (made possible by support from the National Science Foundation and Northwestern's Materials Research Center). A few postdoctoral researchers and visiting scholars are also active contributors.